Maybe it’s a holdover from childhood for many of us – the dread of getting injections. But learning how to take HGH injections in simple steps can remove your trepidation and allow you to pursue medically prescribed human growth hormone replacement therapy with real confidence. The injections that are used to administer bio-identical HGH (generically known as somatropin) are actually not very painful because of the small and minimally invasive needles that are used. There will be a few minutes of preparation time involved if you are planning to use the recombinant form of this medication; but many patients are now opting to use the injection “click pens” that come pre-mixed and ready to use. In addition to eliminating several of the preparatory steps, these pens also offer patients more convenient portability. Yet even using the recombinant formulations of human growth hormone, meaning that they are a powder that must be mixed with bacteriostatic water before injecting, are simple to prepare and use. Virtually all of today’s commonly prescribed HGH medications are injected subcutaneously, making them quick and relatively pain-free to administer to yourself – much like people using insulin injections on a regular basis. In a very short time, you can teach yourself how to take HGH injections in a routine and very unobtrusive manner. The only other aspect of using injectable human growth hormone to keep in mind is that it is a chemically delicate substance that should be stored away from direct heat and light before mixing, and must always be kept refrigerated once it has been mixed. First, make certain that the supplies you will need are at hand. These will include your vial recombinant HGH; bacteriostatic water to mix it with; a mixing syringe; an administering syringe; a sharps disposal container for safely disposing of the needles you used; and an alcohol wipe to clean the injection site with. Next, prepare your solution as directed on its packaging. You will basically be drawing the correct amount of water into your mixing syringe and inserting it into the vial of lyophilized (powdered) HGH. Once that has been done, you will slowly and gently mix the two together without shaking it, which would damage the mixture. Remember, it is a delicate substance. When your medication is thoroughly mixed, it will become transparent and no powder will be visible in the vial. It is very important to make certain that the mixture is not cloudy before you inject it. Wipe your injection site with the alcohol swab and prepare your injection syringe by inserting it into the prepared vial of somatropin. Draw it up into the syringe to your exact dosage and inject it into the site you’ve chosen – either the belly area or inner thigh area. Safely dispose of the two syringes you’ve used (using the sharps container) and immediately refrigerate your mixed and unused HGH solution into your refrigerator (not the freezer). Your reconstituted solution will last for up to 2 weeks in your refrigerator. This is how to take HGH injections properly and it only requires a few minutes of your time. Most patients find that after the first few times of preparing and self-administering their recombinant human growth hormone injections, it becomes second nature to them. For further reference, you can also easily find step-by-step video instructions online that illustrate how uncomplicated these procedures are. However, if you find that you have any additional questions about how to take HGH injections, you should not hesitate to immediately contact your medical provider for assistance. At Nexel Medical, our clinical advisors are always available to guide you through the process or to answer any questions you have about preparing, injecting or storing your prescribed somatropin treatments. 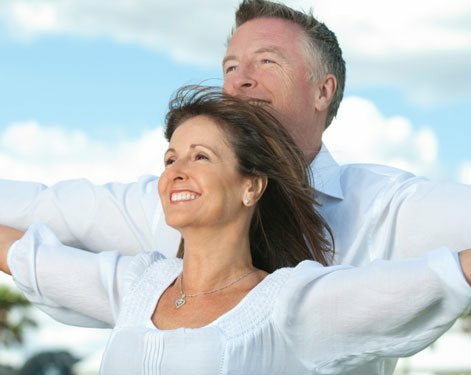 A number of our advisors and doctors are also growth hormone therapy patients who are extremely familiar with the procedures as well as the benefits of using this hormone health-enhancing medical therapy. We encourage all of our patients to contact us whenever they have questions about any aspect of their treatment program. Just a quick phone call or email to us is all it takes to get the answers you need to put your mind at ease. You can do this – thousands of adults all across the US are already using HGH replacement therapy to safely and effectively increase their deficient growth hormone supply and attain a higher degree of health and vitality.